This location is at the Airport. There is free parking available. 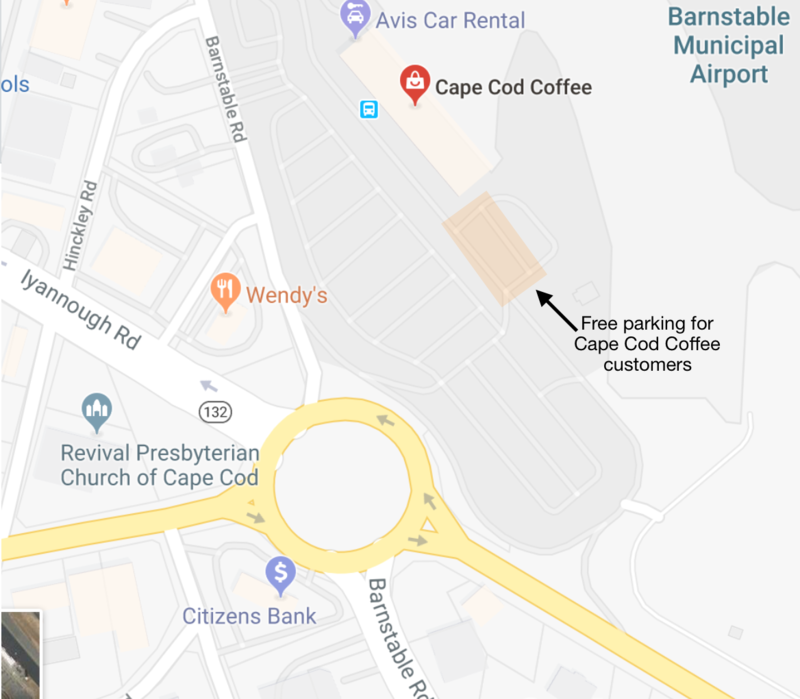 Enter the airport and look for the orange signs to Cape Cod Coffee to direct you to the parking.